Christmas Tree, Photo Credit: LUMIKK555 (iStock). It used to be tradition to put up a Christmas tree on Christmas Eve and take it down on the Twelfth Night, but now trees and decorations go up much earlier and stay up longer. The days surrounding Thanksgiving are a popular time to buy a cut tree or cut your own on forest land in the Pikes Peak region. 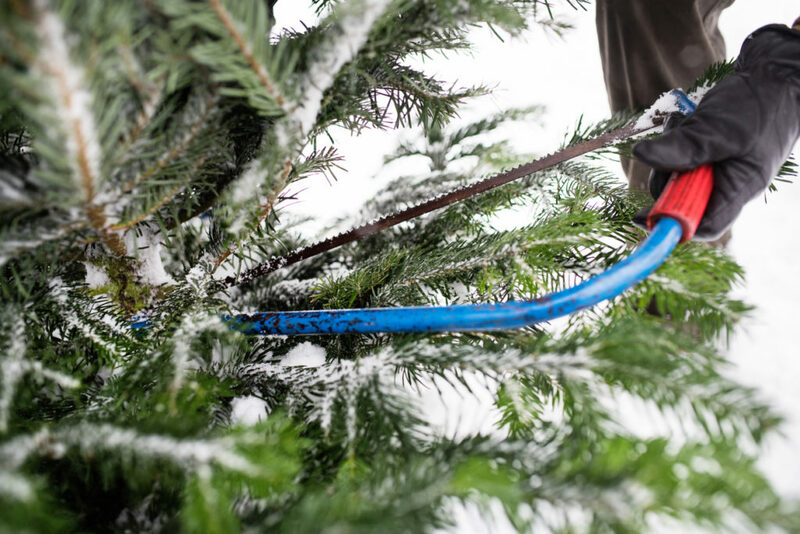 A cut tree will fill your home with a wonderful piney scent and should last well beyond Dec. 25, provided you keep it well-watered. This weekend and next weekend are expected to be the busiest for holiday tree sales at Rick’s Garden Center, 1827 W. Uintah St., said manager Tyler Wilson. The center has white, Fraser, Noble and Canaan firs and piñon and Scotch pines. Prices start at $44.99 for Scotch pines and $59.99 for Fraser firs. The rule of thumb is about $10 per foot, Wilson said. Photo Credit: Neeta Lind (Flickr). The trees come in many sizes, most in the 5-foot, 2-inch to 12-foot range. The National Christmas Tree Association recommends measuring your space first to see how tall and wide a tree it will accommodate. When choosing a tree, do a needle test for freshness by gently “caressing” a branch to see if needles come off in your hand, Wilson said. If that happens, the tree is drying out and you should move on to another tree, he said. 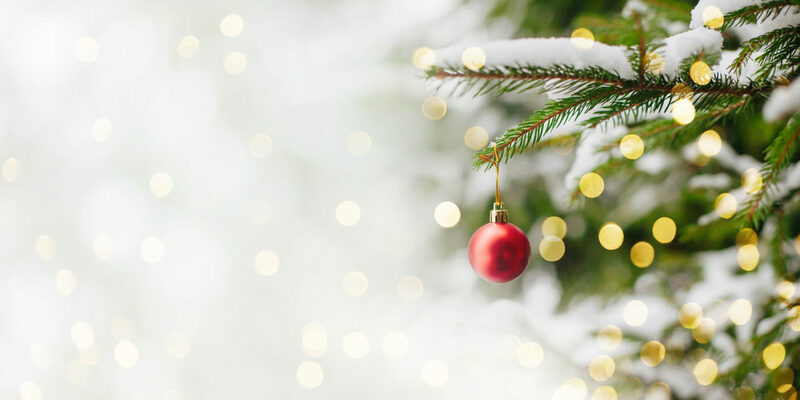 AAA Colorado advises transporting a netted Christmas tree on top of a vehicle that has a roof rack, laying an old blanket on the car roof to protect it from scratches, pointing the tree trunk toward the front of the car, and using quality rope to tie it down. Once you get the tree home, keep it well-supplied with water. “To never let the water run out is crucial,” Wilson said. Rick’s sells up to 550 cut Christmas trees each year, as well as a limited selection of artificial trees, he said. 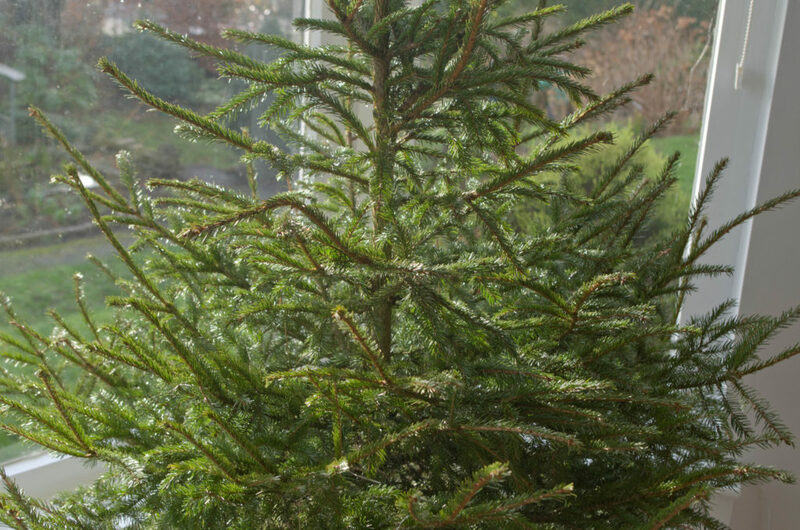 Potted trees, which can be planted in the New Year, have sold out. “We’ve had good traffic already. So far, so good,” Wilson said. Nationwide in 2017, 27.4 million real Christmas trees were purchased for an average of $75 apiece, according to the NCTA. 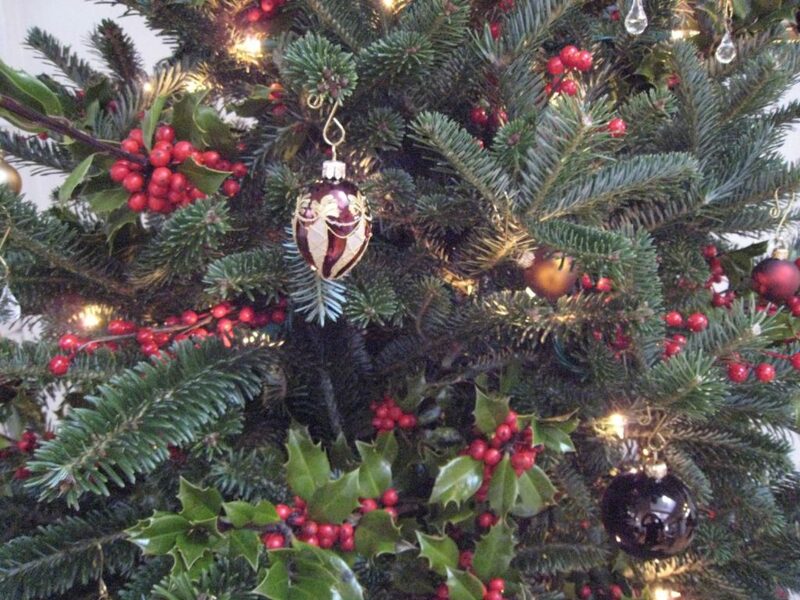 Artificial tree sales numbered 21.1 million, at an average cost of $107. Most people bought cut trees at a choose-and-cut farm (27 percent) or chain store (26 percent), with 19 percent of purchases at a retail lot, 15 percent at a garden center, and 10 percent from a nonprofit group, per NCTA data. Another option is to buy a permit to chop down your own tree on national forest land. At least 15,000 tree permits were issued in the Pike and San Isabel national forests last year, said Barb Timock, public affairs officer for the U.S. Forest Service. Even with the permit cost doubled to $20 this year, tree cutting is less expensive than buying one and has become a holiday tradition for many families. The price increase is the first the forest service has implemented in more than 30 years, Timock said. “It’s still a great economical price, and we hope that the price increase doesn’t turn anybody away,” she said. Permits for the Pike National Forest’s Pikes Peak Ranger District started being sold Thursday and are available at the district office, 601 S. Weber St., or any ranger district office from 8 a.m. to 4:30 p.m. weekdays through Dec. 14. Limit of five permits per person. Species include Douglas fir, Lodgepole pine, Ponderosa pine, Engelmann spruce, and Limber pine. Be aware that many Douglas Fir trees have been damaged by Western Spruce Budworm,” says the Forest Service website. Cutting trees also helps thin the forest, so trees don’t have to compete as much for sunshine and moisture, she said. Collected permit fees remain local and help pay for the tree program. Even if your tree isn’t perfectly shaped, it’ll look prettier once the decorations are added. Finding your tree, cutting it and hauling it back to your car might take a few hours. 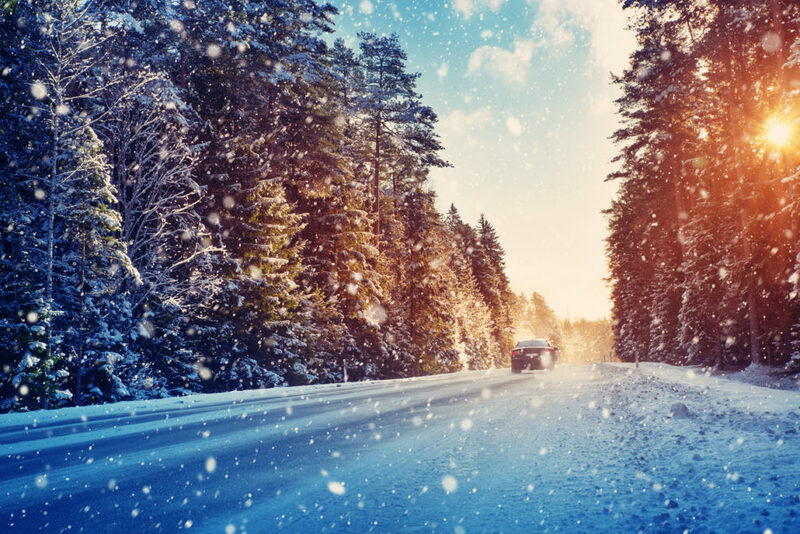 Be prepared for wintry weather with extra clothing, food, and water and take a rope, sled or tarp to help bring the tree to your vehicle, Timock advises. Stay together and remember that there’s not always cell service in the forest. Bring a handsaw; chainsaws aren’t permitted. It’s important to leave your pet at home or have it leashed if you bring it, she said. The tree-cutting area is on a 10,000-acre swath of land 3 miles northeast of Woodland Park on Rampart Range Road (Forest Road 300). Trees may be cut through Dec. 14. Permits also will be sold between 8 a.m. and 3 p.m. Dec. 1, 2, 8 and 9 at the Woodland Park Work Center, 1408 Rampart Range Road. Only cash and checks will be accepted there. Cut trees with trunks no more than 6 inches in diameter and as close to the ground as possible. Once your tree is cut, attach the bright orange permit tag to it and make sure it’s visible for your ride out of the forest. Those who cut or remove trees from the National Forest without a valid permit are subject to a fine of up to $5,000, six months in jail or both. For more information on tree permits, call 477-4221. After the holiday, trees can be recycled at several El Paso County locations for a $5 suggested donation benefiting Colorado Springs Youth Sports, the El Pomar Youth Sports Park and other area youth service organizations. You can keep your tree out of the landfill and pick up free mulch, while supplies last. Find more information at www.TreeCycleCOS.org.